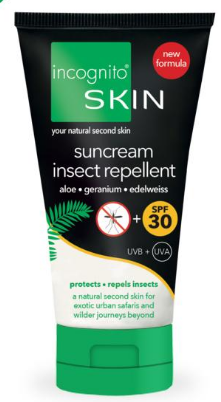 A luxury after sun moisturiser to nourish and soothe your skin after sun exposure whilst providing added protection with regular use, against insect bites thanks to the inclusion of organic Java citronella oil. 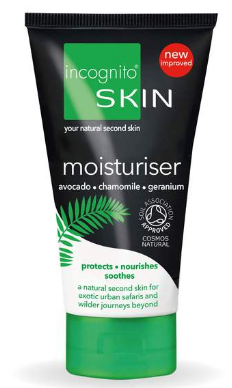 Incognito's After Sun Moisturiser contains organic ingredients, the argan and avocado oils to hydrate your skin, while chamomile, geranium, and bergamot provide a unique, fresh aroma. 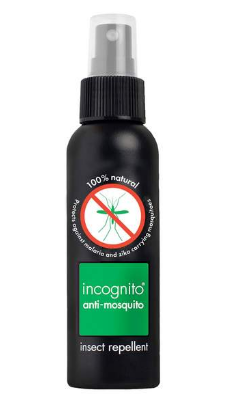 For complete protection use with Incognito's Spray & Suncream. 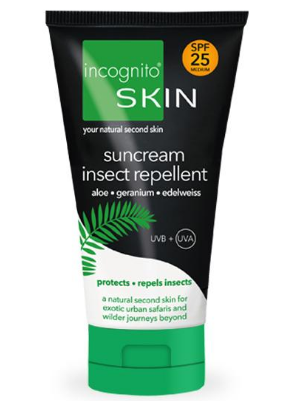 How to use Incognito's After Sun Moisturiser; Apply to skin as required, especially after sun exposure. 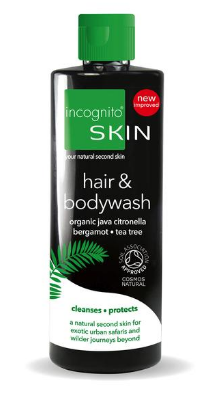 Ingredients; Aqua (water), helianthus annuus (sunflower) seed oil*, cetearyl alcohol, glyceryl stearate glycerine, cymbopogon winterianus (citronella) herb oil*, caprylic/capric triglyceride, vitis vinifera (grape) seed oil*, aloe barbadensis (aloe vera) leaf juice powder*, sucrose stearate, sodium stearoyl glutamate, xanthan gum, coco-glucoside, citrus bergamia (bergamot) peel oil expressed*, pelargonium graveolens (geranium) flower oil*, melia azadirachta (neem) seed oil, melaleuca alternifolia (tea tree) leaf oil*, persea gratissima (avocado) oil*, argania spinosa (argan) kernel oil*, simmondsia chinensis (sesame) seed oil, anthemis nobilis (chamomile) flower oil*, tocopherol (vitamin E), coconut alcohol, dehydroacetic acid, benzyl alcohol, sodium benzoate, citric acid, Allergens derivative from essential oils; geraniol, citronellol, limonene, linalool, citral, eugenol, farnesol. *Organic ingredients.